Brahman and person is a collection of essays by the late Richard De Smet (1916-1997) on the topic of person in Indian thought overturning the current interpretation De Smet proposes that the Nirguan Brahman can be regarded as properly personal provided person is understood in the original and classical sense that emerged in the Christian effort to speak about the mysteries of the Trinity and the Incarnation. 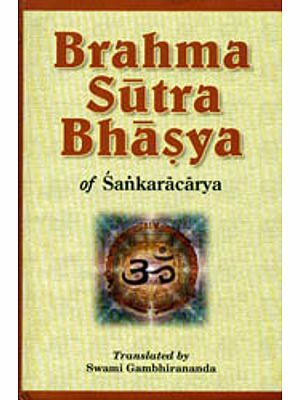 The rendering of Saguna and Nirguna Brahman as personal and impersonal instead originated with the Western translators of Sanskrit works who were influenced by an individualistic idea of the person and the consequent restriction of its application to the human being. De Smet also dedicated attention to the question of the human person in Indian and western thought over a number of essays proposing that a properly holistic and organic notion of the human person can be found especially in the thought of Sankara. This collection of essay by an eminent ideologist constitutes an important contribution not only to ideological studies but also to cross cultural and interreligious dialogues. Richard De Smet taught Indian philosophy Jnana Deepa Vidyapeeth pune. Born in Belgium in 1916 he joined the Jesuits in 1934 and came to India in 1946. He earned a Ph.D in 1953 from the Gregorian University Rome for his thesis on the Theological method of Sankara proposing both that Sankara was Srutivanadin and that he used the method of analogy in his interpretation of the Upanisadic Mahavakyas. De Smet was a life member of the Indian philosophical congress and the Indian philosophical association and founder president of the association of Christian philosophers of India and in these capacities carried out and ongoing dialogue with Indian philosophers and religious personalities. He died in 1997. Ivo Coelho is reader in gnoselogy and Metaphysics at Divyadaan Salesian institute of philosophy Nashik and editor of Dvyadaan Journal of philosophy and education. Born in 1958 at Mumbai he studied under De Smet at Pune and went on to specialize in the hermeneutical thought of the Canadian philosopher theologian and economist Bernard lonergab. He is interested in issues of cross cultural and interreligious understanding dialogue and collaboration he is the author of Hermeneutics and Method The Universal Viewpoint in Bernard Lonergan. I count Fr Richard V. De Smet Sj as one of my great teachers and also a good friend. In 1988 he had requested my services for a year to help him put his papers in order and more towards publication. Unfortunately I was not able to oblige him at the time. The present work may therefore be regarded not only as an act of Pietas but also as an attempt to make up and I hope it will not be the end for there is much that still remains to be done to make Fr De Smet’s work available to a larger public and to give it the attention it deserves. A very large number of people have collaborated in the present work and I am happy to acknowledge their help. Banzello Teixeira Rolvin D’Mello, Peter Gonsalves, Cyril De Souza, Mayank Parmar, Tino Fernandes Valentine Coelho Sahayadas Fernando, Jose Maliekal, Felix Fernandes, S panneerselvam C.M Paul Geroge Thadathil Magalena Strauch A . Kunstmann, Crescens Lemos J Velinkar and J saldanha for help with Bibliographical research. The librarians of Jnana Deepa Vidyapeeth Pune De Nobili College Pune Ramakrishna Mission institute of culture Kolkata goethals library kolkata. Nelson Falcao Robert Pen, Tony George, Danniel D’Souza and Mylin Noronha for help with the Marathi translations. bernaer Britto Edward Pereira Nazareth Denis and Shyju babykutty for invaluable help with secretarial work. Banzello Teixeria and Joel D’Souza for Proof Reading. Michael Fernandes provincial of the Salesians of Don Bosco Mumbai and the staff and students of Divyadaan for the support and the space I have enjoyed while engaged in this work. 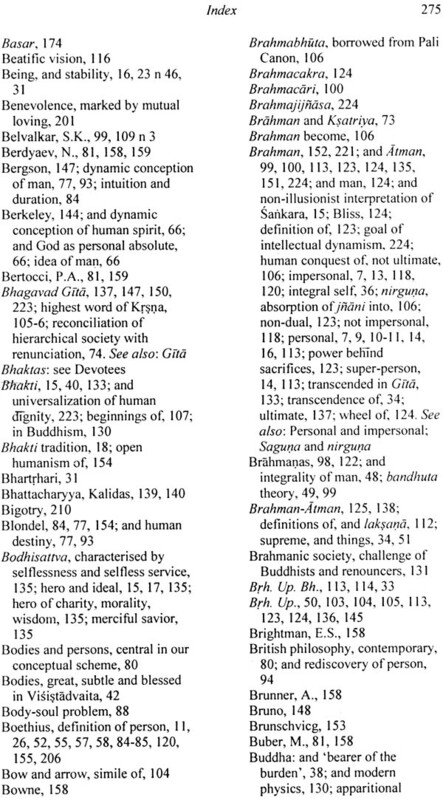 Indian scholars and religious personalities are prone to speak about the impersonal absolute Brahman of the Upanishads and the Vedanta in contrast to the personal god of the Christians where impersonal and personal are translations of nirguna and Saguna respectively. Under the influence perhaps of new age it is not unusual to find also a section of the Christian clergy and theologians adopting this usage. 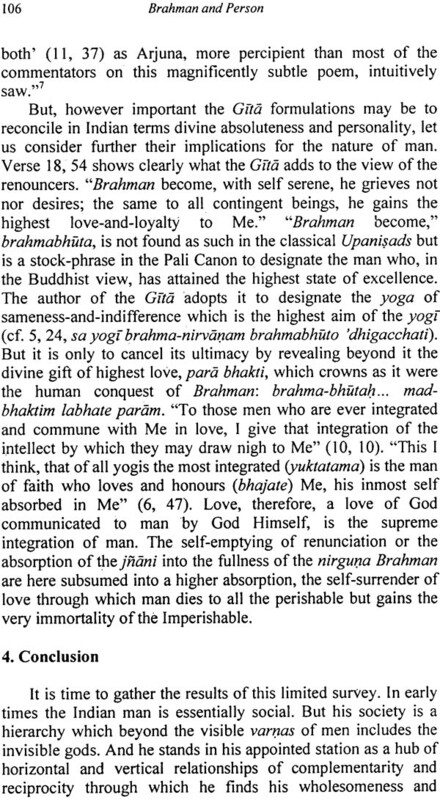 It therefore comes as a surprise to read that way back in 1973 at a seminar convened at the university of Madras on the topic of the person the revered scholar and Vedantin Prof. T.M.P Mahdevan declared that the Brahman of Sanskara was if anything surely not impersonal Fr Richard V. De Smet Sj who reports this development modestly calls this an important linguistic change and attributes it with even greater modesty to the participation by Christian scholars at various meetings of Indian philosophers in the previous twenty years. The twenty years in question however coincide roughly with the completion of De Smet’s doctorate on the Theological method of Sankara in 1953 and his own active involvement with the Indian philosophical congress and other such associations and we would not be far off the mark if we were to attribute the lion’s share of the credit for this development to De Smet himself further Prof. Mahadevan’s declaration is surely more than a mere linguistic change. It is an important moment in ideological scholarship and in interreligious and intercultural dialogue. Clearly it has not yet received that attention it deserves. Studies about the person in Indian and western thought continue to be ignorant of this development and of the contributions of De Smet that led up to it. One of the reasons for this state of articles scattered over a large number of relatively unknown Indian journals and publication. The present collection attempts to address this problem by bringing together De Smet’s contributions on the topic of the person. 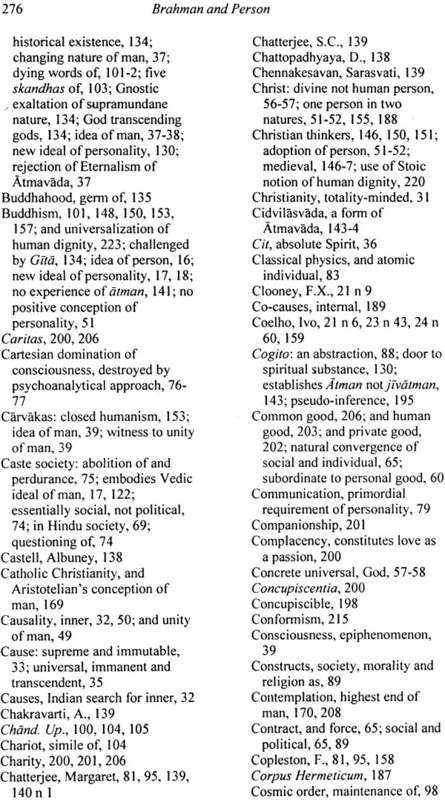 In his introduction to New Perspectives on Advaita Vedanta Bradley J. Malkovsky has already given us a life a sketch of Fr De Smet Let me recall however at least the basic facts. Richard Vital De Smet was born in Belgium in 1916 joined the novitiate of the society of Jesus in 1934 and came to Indian as a young student of catholic theology studies he was asked to specialize in ideology which as he himself reports had been an early interest. By 1953 he had earned a Ph.D from the Gregorian University Rome for his thesis on the theological method of Sankara. 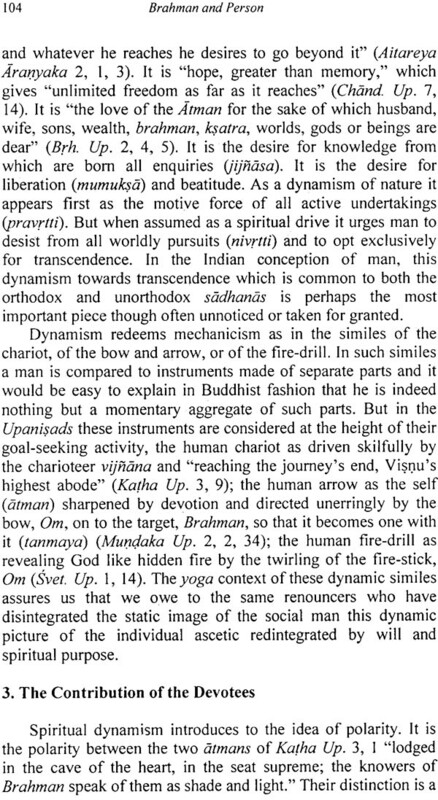 Against the prevailing current of opinion that would have Sankara a philosopher he showed how the great Vedantin was Srutivadin a theologian who applied reason and available cultural resources to the sacred texts accepted as authoritative. Back in India he launched himself with vigour into his new field of competence thus joining an impressive rank of Jesuit Ideologists that included Roberto de Nobili in the seventeenth century and G. Dandoy P. Johannas, R. Antoine and P. Fallon in the twentieth for many years however De Smet taught not only Indian philosophy but also Western courses such as metaphysics and philosophical of God this accounts for his extraordinary remark of Prof. S. Panneerselvam head of the Department of philosophy at the university of Madras to the effect that De Smet was one of the Vedantins of India. Besides his membership in the Indian philosophical congress and the Indian philosophical association, De Smet was also the founder and long time president of the association of Christian philosophers of India. In these various capacities and through his work as professor at Jnana Deepa Vidyapeeth Pune he became mentor guide and friend to countless scholars young and old. 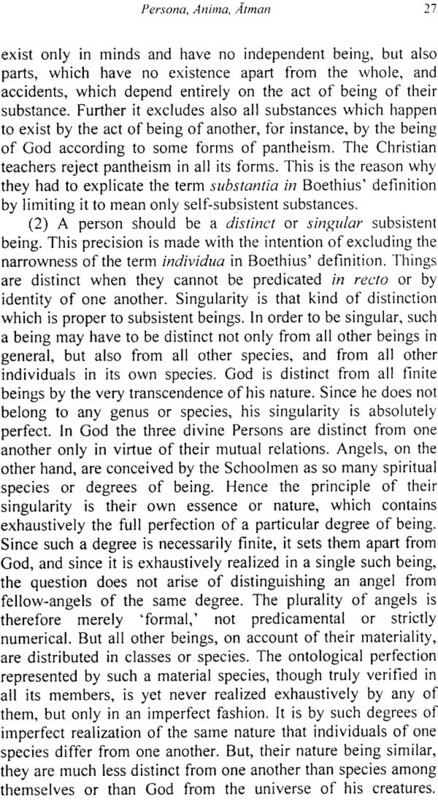 De Smet writings contain a veritable campaign on the notion of the person beginning in 1957 barely three years after the completion of his doctorate with the lecture persona Anima Atman. 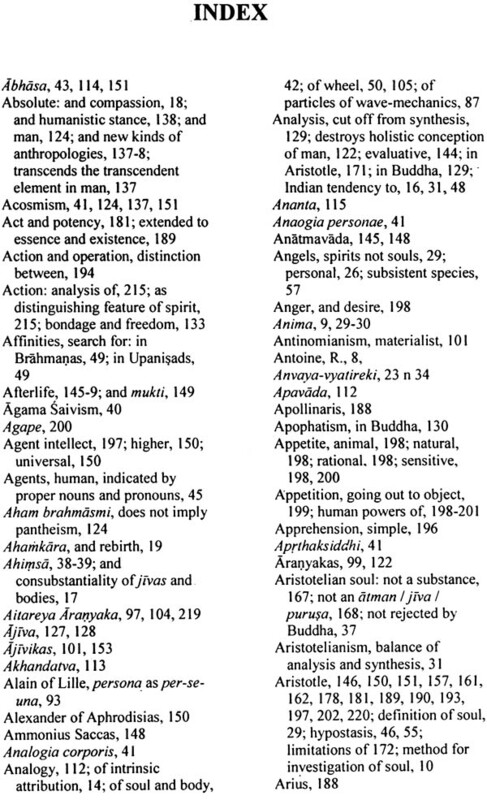 Presented at the Indian philosophical congress and published subsequently both in the proceedings of the congress and the Philosophical Quarterly the lecture is a substantial clarification of the term person in the west with shorter notes on anima soul and atman however the history of the person ends with the scholastics and the more on arman tends to remain within the dominant Upanisadic and Vedantic trends. An article of 1966, “Zum indischen Menschenbild” tries to complete the picture with matter from non Upanisadic and non Vedantic trends but was published in a German language journal. The campaign peaks in 1970 with a flurry of lectures. Three lectures delivered at the University of Madras but published in the Indian philosophical Quarterly and Subsequently circulated in an off printed booklet contain and elaborate history of the person in the west though not without forays into the east. 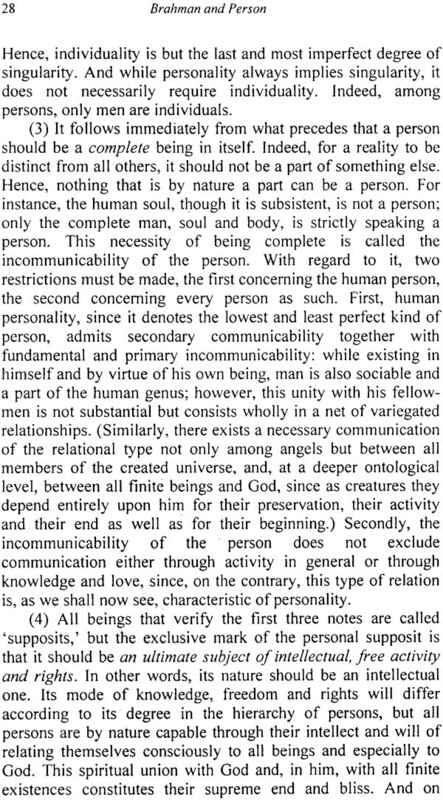 The discovery of the person the loss of the person and the Rediscovery of the person the open person vs the closed individual of the same year delivered as the presidential address of the Indian philosophical association expands upon the shift from the organic notion of person achieved in high scholasticism it the atomic and isolated individual of the modern and contemporary period. 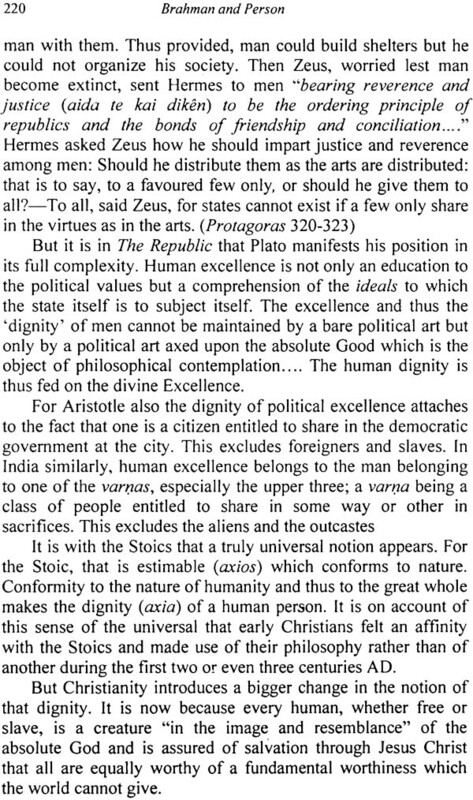 Another lecture of 1970 session of the Indian philosophical congress was published at least five times. 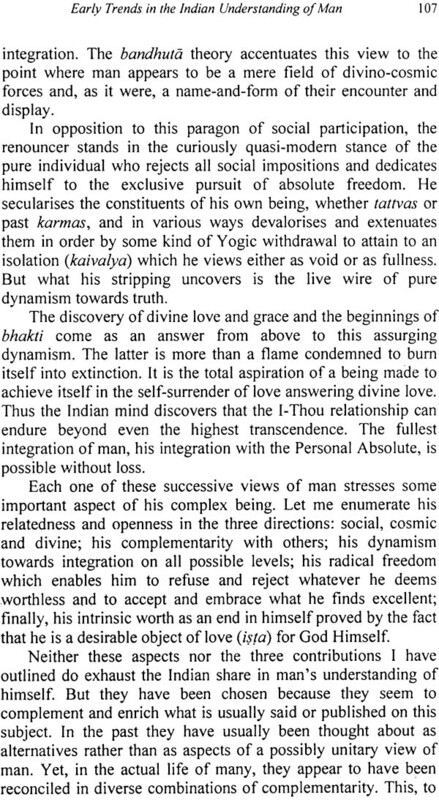 The fruits of the efforts of 1970 are reaped in an article of 1972 which process that the concept of person can be applied both to the absolute Brahman and to the Jivatman of Sankara Vedanta and in a rather extensive study of 1974 that works our an Indian view of the person. 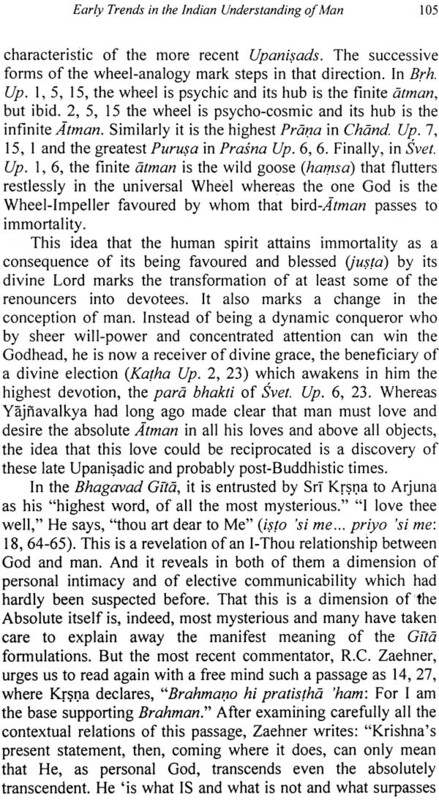 Already in the latter barly seventeen years after persona anima aman De Smet is able to report Mahadevan’s comment about the personal nature of Brahman. The work of this period is carried over into the entires contributes to the Marathi Tattvajnana Mahakosa (1974). These do not really being in anything new but are certainly a sign of the measure of the esteem in which De Smet was held. In 1975 De Smet returns once again to the western idea of the person but this time he focuses thinking in this area. 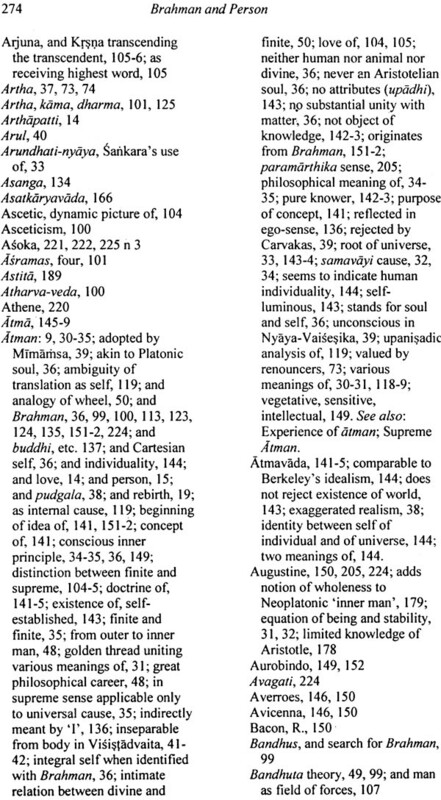 The more substantial pieces the Thomist Conception of Man of 1975 and the concept of man in Thomism and Neo-Thomism of 1982-83 both seem to have been intended for a non Christian readership the former being published in the Indian Philosophical Quarterly and the latter in the Indian philosophical annual. 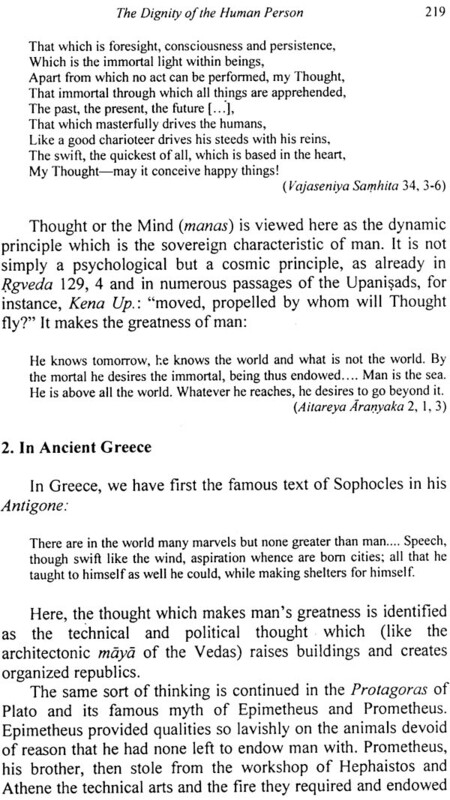 The paper of 1975 is a presentation of the method devised by Aristotle for investigating the phenomenon of the human soul unlike the Indian tradition in which viveka predominates this is a method in which analysis is followed by synthesis so that the field unitariness of the phenomenon is never lose sight of. 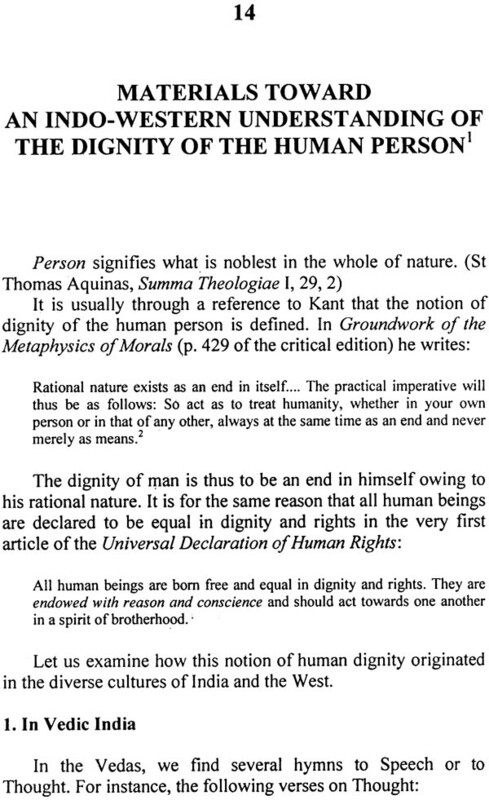 The 1982-83 article complements the teaching of Aquinas with the thinking of the neo-Thomism J Maritain, J. Marechal, E. Gilsin and Karol wojtyla. 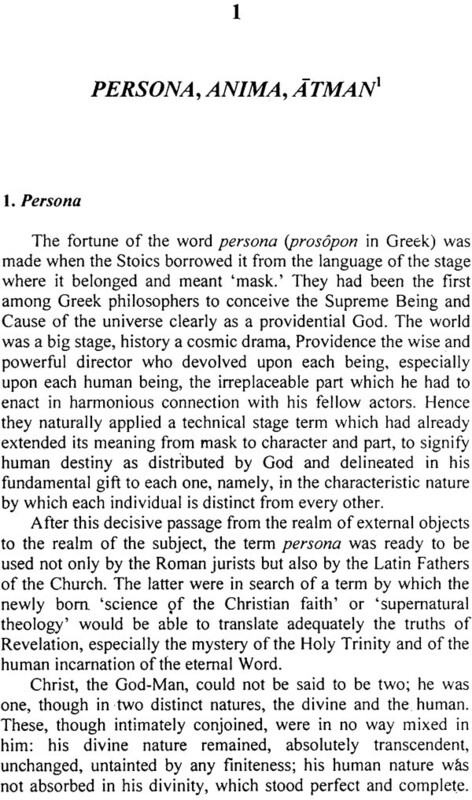 The Christian conception of man of 1982 seems instead to have been intended for a Christian readership having been published in a Christian journal Ignis in tow parts under the tittles. 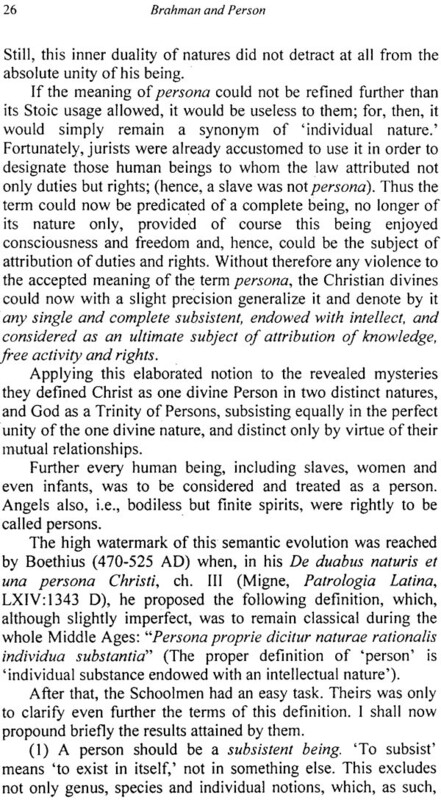 The biblical concept of a human person and the Christian concept of human person. The article begins with notes on the concept of man in the old new Testaments and then integrates earlier in the contemporary area as evidenced by a series of unintegrated quotations form max Scheler. 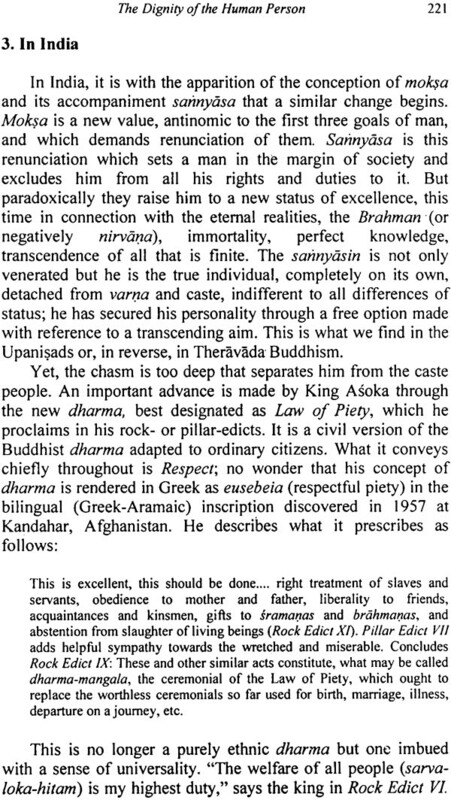 In 1996 finally we have a little note published in the journal of dharma concentrating on the dignity of the human person.